In the Senate, the committees of jurisdiction are Health, Education, Labor, and Pensions (HELP) and Finance. Energy and Commerce and Ways and Means control the effort on the House side. The two committees in the House and the two in the Senate will develop recommendations and, by January 27, as directed in the budget resolution, deliver them to their respective budget committees. The budget committees will write a budget reconciliation bill, which cannot be filibustered in the Senate. Now, under reconciliation, the bill cannot increase the deficit after ten years. The "Byrd rule," which deals with purported extraneous language in the bill or amendments, is problematic because it potentially prevents Congress from repealing parts of the law, though this hasn't been tested. Supposedly, Congress will use the Restoring Americans’ Healthcare Freedom Reconciliation Act, H.R. 3762, as the guiding point this year. 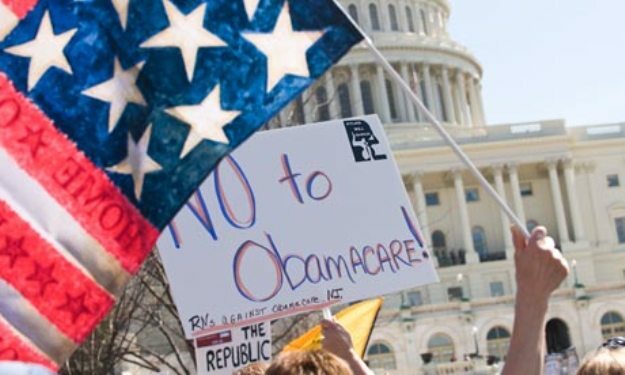 The Restoring Americans’ Healthcare Freedom Reconciliation Act, which was vetoed by President Barack Obama in January 2016, repealed the vast majority of ObamaCare. But it left in place some elements of it, including the essential benefits and other regulations promulgated by the Center for Medicare and Medicaid Services and the pre-existing conditions mandate on insurance companies. Language to repeal the regulations and non-spending provisions, some argue, wouldn't survive a challenge under the Byrd rule. With President-elect Donald Trump and Speaker Paul Ryan (R-Wis.) saying that Congress should repeal ObamaCare and quickly move on an alternative, if not at the same time, it's possible that the alternative could be included in the reconciliation bill, though that's far from a certainty. In fact, one could even surmise that the repeal bill itself may fall short of what passed in the last Congress. Several pieces of legislation have been filed in the current Congress to repeal various parts of ObamaCare. Rep. Erik Paulsen (R-Minn.) has reintroduced legislation, H.R. 184, to repeal the medical device tax and Rep. Mike Kelly (R-Pa.) has introduced a bill, H.R. 173, to repeal the Cadillac tax. These are only a couple of examples ObamaCare-targeted legislation filed since January 3 when the 115th Congress convened. It's crunch time now, and fiscal conservatives and libertarians should accept nothing less than what Congress sent to President Obama in January 2016. It's possible that more can be done to repeal more of the law through reconciliation, but the bare minimum is what was in Restoring Americans’ Healthcare Freedom Reconciliation Act. Anything short of that is a sellout by Republican congressional leadership.